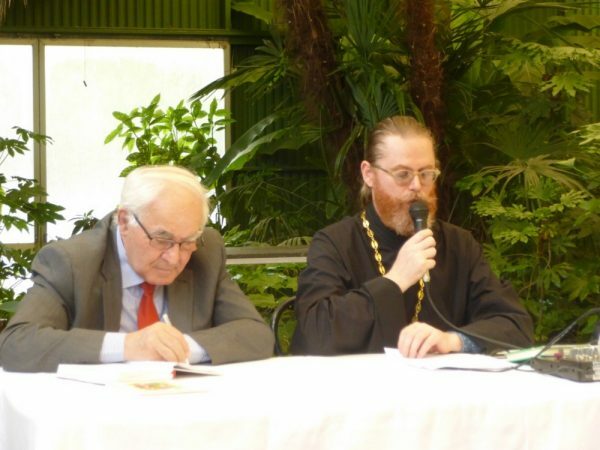 On May 7, 2017, a conference was held in Venice on ‘The model of the development of Christianity towards integral ecology’ devoted to a concept of economic progress different from the traditional capitalist and collectivist trends. The authors of the idea called ‘civism’, Prof. G.-F. Trabuyo and Dr. D. Gerardi, invited prominent scientists, economists, statisticians, ecologists and politicians from Italy and European countries. The initiative was blessed by Pope Francis of Rome and the Catholic Patriarch of Venice Msgr. Francesco Moraglia. The evening session was opened with the presentation of His Holiness Patriarch Kirill of Moscow and All Russia’s book ‘Freedom and Responsibility: In a Search for Harmony. Human Rights and Dignity’. The conceptual work by the Primate of the Russian Orthodox Church in its Italian version published in 2010 by the Vatican publishes, has not yet been presented in Venice. With the blessing of Bishop Antoniy of Bogorodsk, the book was presented by the rector of the Russian parish in Venice, Archpriest Alexiy Yastrebov. The thoughts set forth in the work are very relevant today, as the secular ideology is prevalent today in almost every sphere of human activity, beginning from the strategy of education to social projects. One of its principal tasks is to oust Christian and, generally, any traditional religious outlook, from societal life. The imposition of new pseudo-values, formation and promotion of quasi-religions based on material wealth or pseudo-spiritual practices have challenged the very existence of the European civilization and the future of Christianity. His Holiness Kirill reflects on these and other challenges of today, inviting readers to now-ripen discussion. The volume, which has been published in several European languages, is a fruit of many years of intensive reflection on the situation, of talks with leaders of Christian churches and other religions, politicians, scholars and ordinary people. The impressions from this experience resulted in a simple, graphic and at the same time laconic style that has been appreciated by readers belonging to diverse walks of life. The Popes Benedict XVI and Francis I welcomed the publication of the book in Italy. Archpriest Alexiy stressed these and other features of the work, dwelling in detail on the chapters about the Christian view of economics, ownership and social relations. Archpriest Alexiy, rector of the Parish of the Holy Myrrh-Bearing Women, was not the only guest from Russia at the conference. In conclusion of the working day of the forum, there was a performance of the Moscow Synodal Choir, which attracted numerous listeners and was a great success, the site of the Parish of the Holy Myrrh-Bearing Women in Venice reports.